No fewer than 67 Blue Flags will be flying in the marinas and on the beaches of the Balearic Islands, certifying the quality of the water, the environmental management systems, safety and services, as well as the standard of the information and education provided. 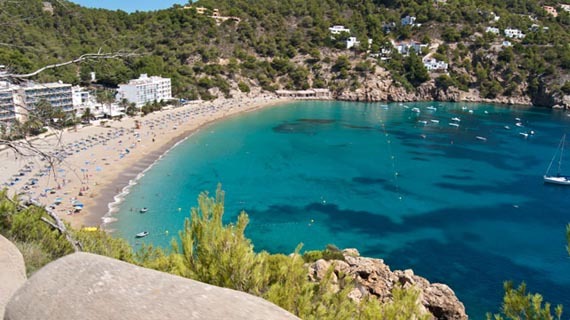 Majorca has been awarded a total of 32 flags and Ibiza 7. Blue Flags are granted by an international panel of judges to those beaches that meet a series of legal, accessibility, health, cleanliness and safety criteria and which have also implemented appropriate information and environmental management systems. The programme was set up by the Foundation for Environmental Education (FEE) in France in 1982 and today is applied on a worldwide scale. The aims of the Blue Flag programme are to ensure sustainable tourism development, environmental management and to reward conservation efforts on beaches or in marinas. In Palma: Cala Major and Cala Estancia. Es Carregador, Palmanova, Son Maties, Illetes, Cala Contesa and Peguera Torà in the town of Calvià. Cala Molins, Cala Barques and Formentor in Pollença. 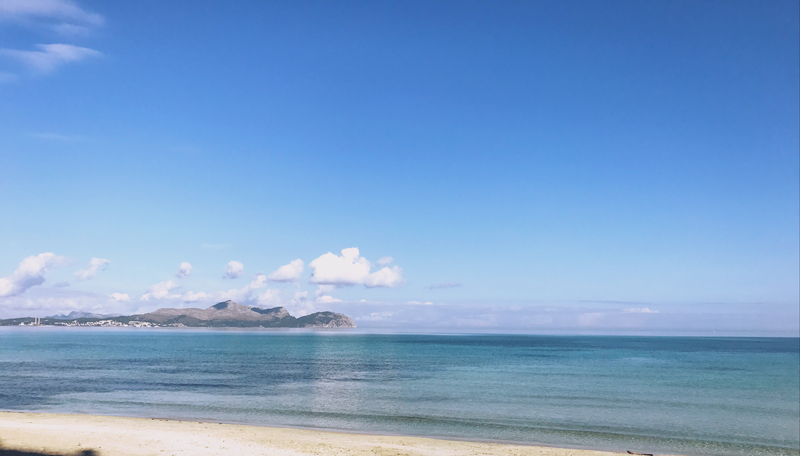 In the north of the island, the beaches of Playa de Muro, Can Picafort, Son Bauló and Son Serra de Marina. Can Picafort beach, 50 m from the THB Gran Playa hotel. 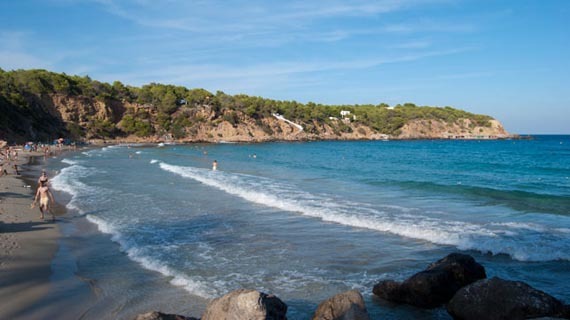 Cala Agulla, in Capdepera, 1 km from the THB Cala Lliteras hotel and THB Guya Playa hotel. Cala Gran, Cala Mondragó-Sa Font de n’Alís and Cala Santanyí in Santanyí. And finally, Es Dolç-Es Port in Ses Salines. Cala D’ Or Marina, Cala Figuera Port and the Portopetro Royal Yacht Club in Santanyí. Cala Bona Port in Son Servera. Cala Ratjada Port in Capdepera. 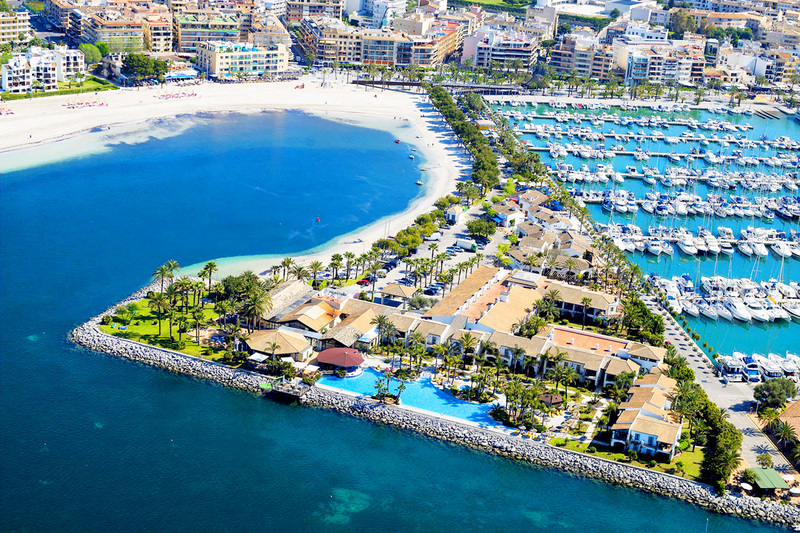 AlcudiaMar Leisure and Sports Marina in Alcudia. Arenal Gran de Portinatx, Cala Benirrás and Cala Sant Vicent in Sant Joan de Labritja. 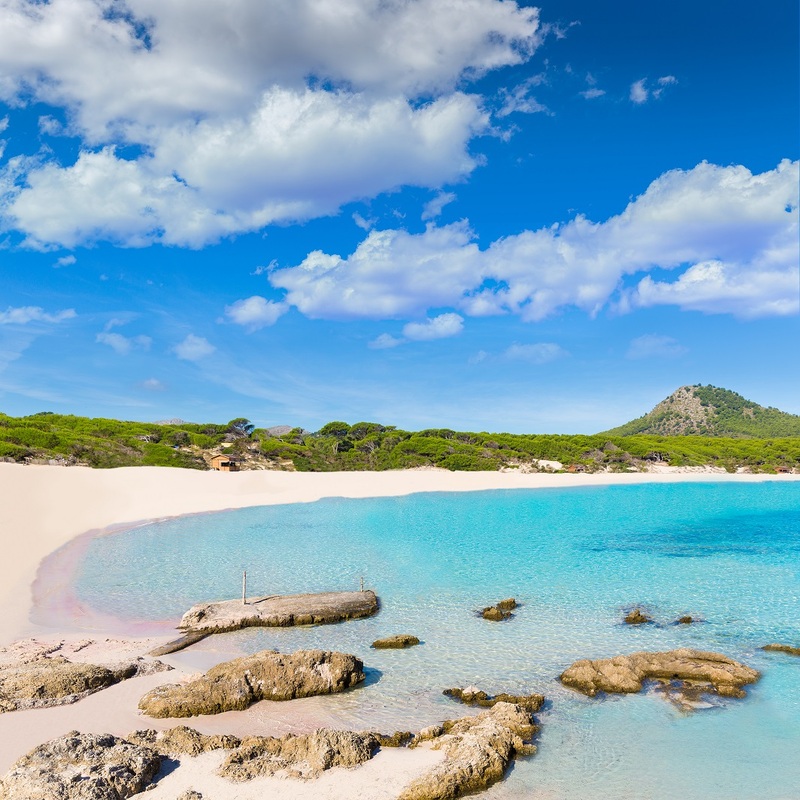 If you still haven’t made up your mind where to spend your summer holiday, the Balearic Islands are the ideal choice for discovering Europe’s finest beaches. 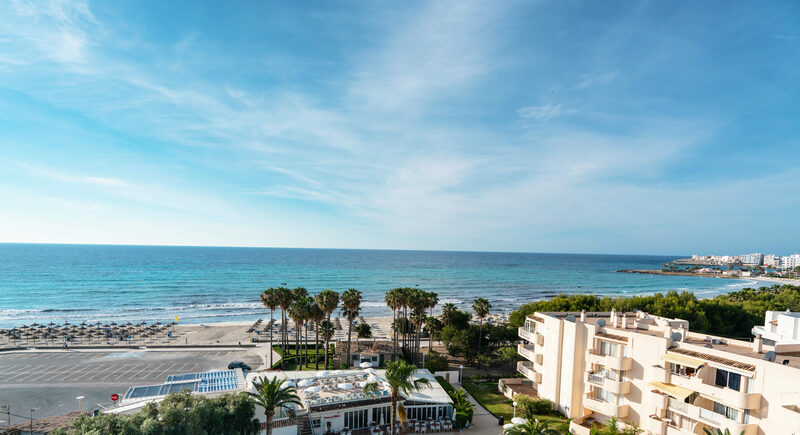 Select your THB hotels on Mallorca or Ibiza, next to the 2018 Blue Flag beach you find most appealing for an idyllic dream holiday filled with truly memorable experiences.